Varys the Spyder can do a lot of things, but he cannot calibrate displays. For that you’d need something like the new condition Datacolor Spyder5PRO Display Calibration System going for $129 with free expedited shipping using coupon code BHWPPI18 at B&H Photo, yes another one of the WPPI deals. Coupon code CHEERS15 gets you 15% off site-wide at Stacksocial for a limited time. They have some online photography courses, software (a lot of it is for Macs), and other assorted photography/photographer six-degrees of separation items (cloud, VPNs, design, WordPress themes, etc). They did not say when the coupon expires. It’s coupon time at Borrow Lenses. Use coupon code AUGBL20 to get 20% off your next camera gear rental. Your reservation must be placed in their system by August 15 at 11:59pm pacific. The actual orders must be delivered or picked up by September 15 in 2016. Walgreens Photo has launched a mid-week coupon, coupon code ENLG99 gets you 99c 8×10 enlargement prints at the Walgreens Photo website. These are ready in about an hour at a local Walgreens store. 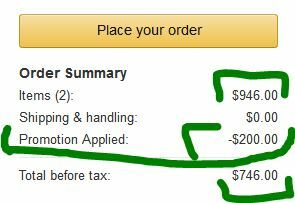 If you want them to ship to your, shipping is extra (depending on the order). Only the 8×10″ prints go for $0.99. Limit five uses per customer. Offer ends on Saturday 3/12/16 at 11:%9pm Central time. On the professional computer monitor front, for a limited time only, B&H Photo is offering the 27-inch NEC PA272W-BK-SV SpectraViewII computer monitor for $1150 with free shipping when you enter coupon code SHOPPCME in the shopping cart over there. This limited time offer ended… If you are interested in buying a print book, whether it’s a Photography Book or any other book sold at Amazon by Amazon herself (not marketplace sellers), you can save 30% off the current price of the book by using coupon code HOLIDAY30 over there. The maximum savings from this coupon is $10 (in other words, it phases out above a book purchase price of $33). Coupon ends 11/30/14. For more details, check the Terms and Conditions. A new variation of the combined purchase instant rebates is running for a couple of Sony Alpha pellicle-mirror dSLRs. You put one DSLR and one lens in your shopping cart, you enter the coupon code, and when you reach the checkout page, there is a combined purchase discount of $100 (either the 55-200 or 55-300 lenses) or $200 (the 18-135mm lens). This is a one-to-one promotion. If you put two lenses and/or two DSLRs and enter their coupons, you only get one discount. But you can buy them in separate transactions (I think – I obviously can’t buy them to test those type of limits). So the eligible DSLRs for this promotion are the Sony a77 Mark II (either body only or with 16-50mm f2.8), and the A58 with 18-55mm kit. The coupon codes are listed over there. I won’t listen here because sometimes they change them, and I have no way of knowing that they changed.